Try this easy technique for getting rid of stale smelling odours from your car. It is also a good idea to try and prevent odours in the first place by ensuring there are no leaks in your car. For bad smelling carpet, try sprinkling with baking soda and vacuuming up. 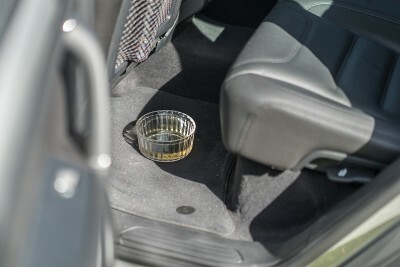 Pour DYC Apple Cider Vinegar into a shallow bowl and place in your car. Leave overnight. Remember to remove the bowl before you use your car. You can reuse the DYC Apple Cider Vinegar as an insect trap - see website for more details.